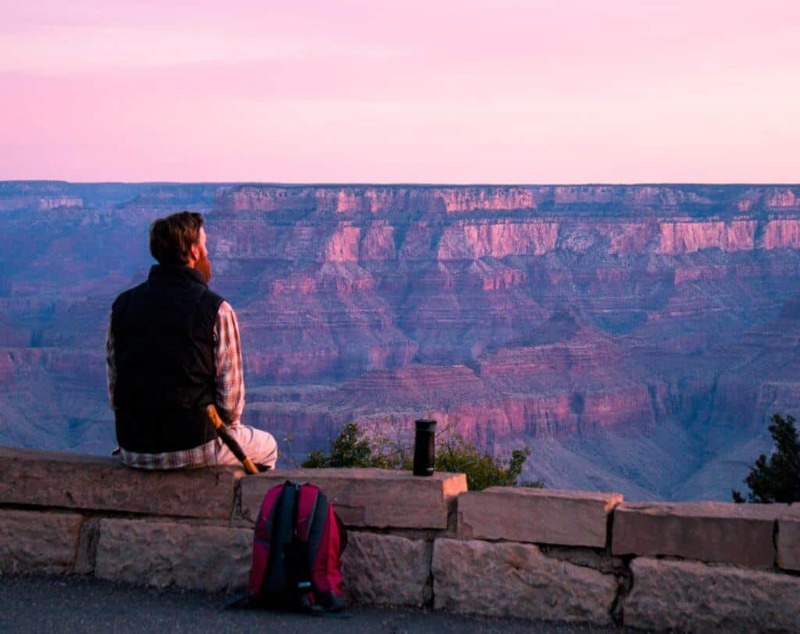 Grand Canyon National Park turns 99 this year, and what better way to celebrate this iconic landscape than to embark on a Grand Canyon camping trip? Last year, we spent our spring break exploring the Grand Canyon from Desert View Campground, and we loved every minute of our adventure. 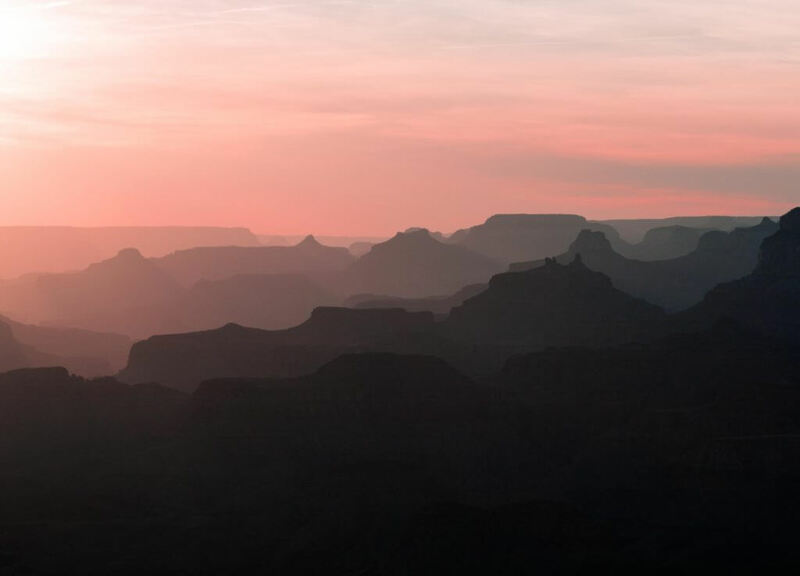 We’d love to share our experience with you, as well as a few tips for visiting the south rim of the Grand Canyon with your family. It’s a must-visit destination, as I’m sure you’ve heard, but the grand views are only part of the adventure. 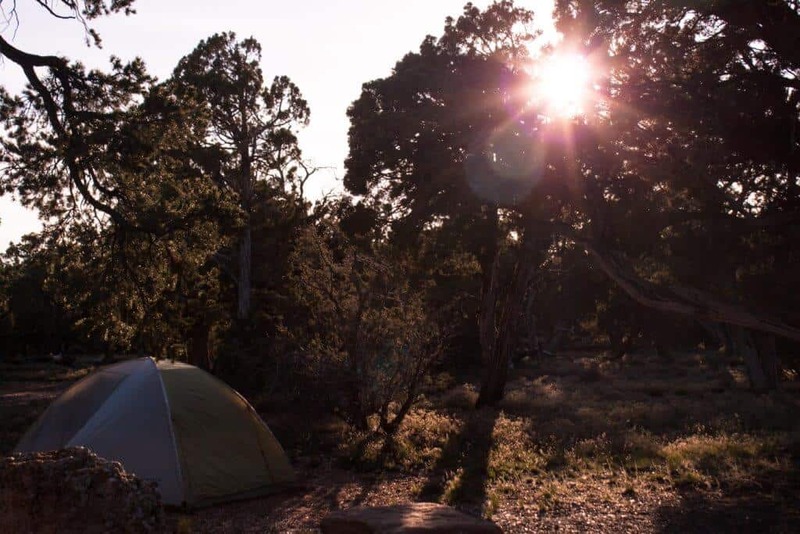 Here are some of the coolest things about camping in the Grand Canyon, and why, despite its popularity, you still need to visit. Grand Canyon National Park is one of those places that is crowded all through the year. January and February are considered the off season, but the south rim still sees plenty of visitors. Camping at the Grand Canyon gives you a totally different feel for the place. You’ve got more room, more solitude, and more time to enjoy the wide open spaces. Another reason to camp on the edge of the Grand Canyon? The night sky is beyond amazing, not to mention sunrise and sunset. Desert View Campground is Awesome! There are three campgrounds on the south rim of Grand Canyon National Park. Two, Mather Campground and Desert View Campground are run by the National Park Service. Trailer Village is a privately-run RV park located in Grand Canyon Village. If you don’t mind craziness and crowds, both Mather Campground and Trailer Village will serve you well, but if you want to escape the nonsense and immerse yourself in natural beauty, you have to check out Desert View Campground. Desert View Campground is perched on the canyon rim at the eastern edge of the park. If you enter the park through the east entrance you’ll be just steps away from the canyon and worlds away from the crowds of Grand Canyon Village. There are fifty campsites at Desert View Campground, each nestled among the gnarly pinyon pines for a bit of privacy. You can’t make a reservation at Desert View Campground, so plan on securing your spot by late morning or early afternoon, especially if you want site 46, which is our personal favorite (you’re welcome). Desert View Campground also makes a great base camp for longer Grand Canyon adventures or a relaxing piece of a Southwest road trip itinerary. Here are a few more tips to help you make the most of stay at Desert View Campground. There is a beautiful unmarked trail between sites 46 and 48. 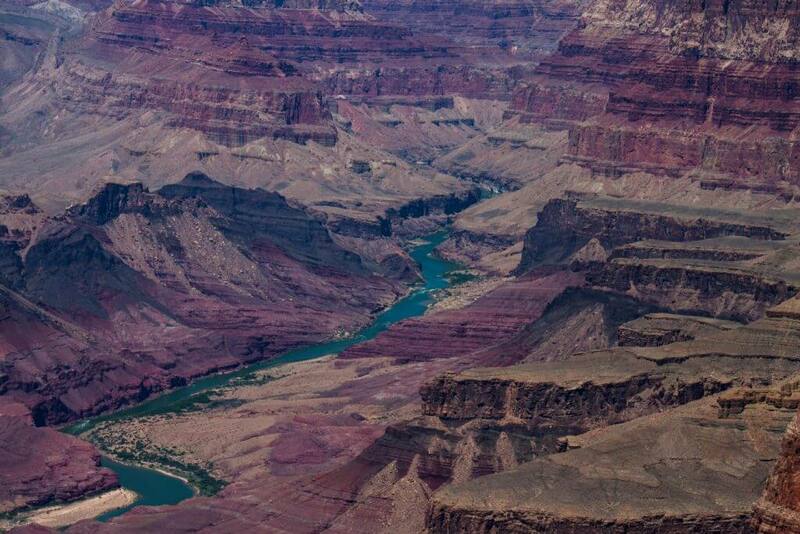 It meanders through the trees and along the south rim, with the most beautiful views of the Colorado River below. We saw footprints out here, so I know people hike the trail, but we spent four hours exploring and relaxing on the edge rim and didn’t see another soul. Like I said — magic. 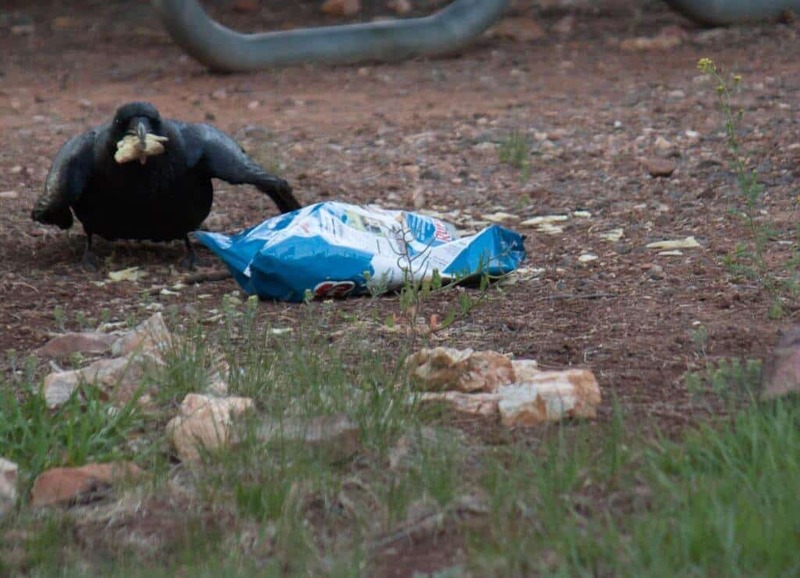 Ravens will steal your food. Talk about opportunistic — these birds were bold and beautiful, just like the soap opera. Do not leave your food unattended. The Desert View General Store sells fabulous local beer and wine, plus whatever else you need — t-shirts, potato chips, ice cream, beef jerky. You can easily walk to the store from Desert View Campground, so you’re not really roughing it. My kids especially appreciated this distraction from their parents. 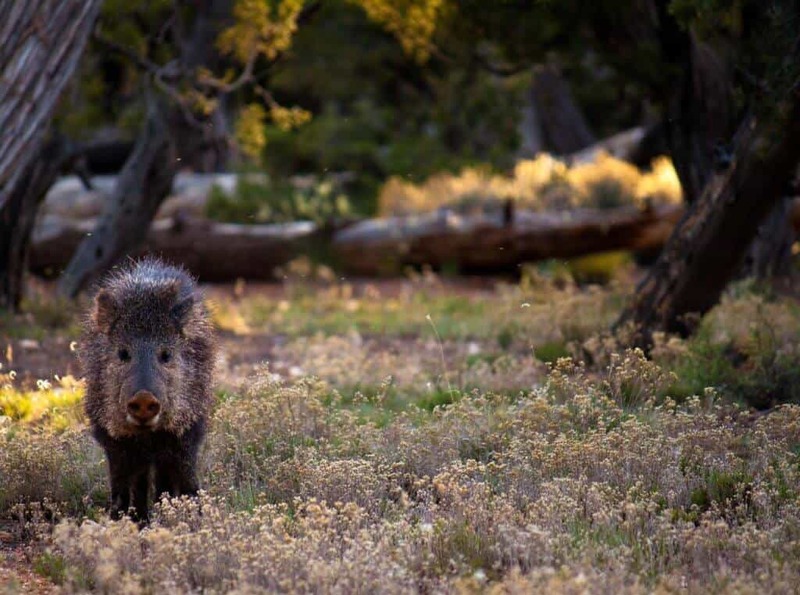 Be on the lookout for javelina. We saw two during our stay — one right behind our campsite, and another near the Desert View Watchtower. There’s lots of elk too. I made my way to the canyon rim for both sunrise and sunset every day but one. Both shows were spectacular, but sunsets were pretty crowded everywhere we went (except on that secret trail). Sunrise was a different story – perfectly quiet, except for the singing birds. I set my alarm for 4:20 am, left the kids snoozing in their tent, and made my way through the park each morning. I’m sure there are lots of beautiful places to watch the sun come up on the rim, but my favorite was Moran Point, which provided a great view of both east and west. 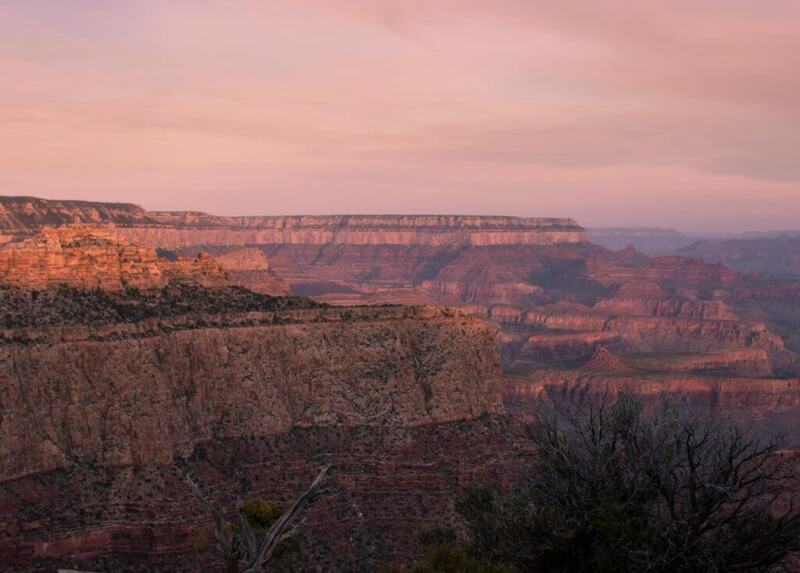 We were lucky enough to witness the full moon setting one morning while the sun bathed the canyon in its warm glow. More magic. As much as I love traveling with dogs, I don’t usually bring them to the national parks. I have not found the parks to be very dog friendly, and there are so many other beautiful destinations (national forests) that are. Grand Canyon National Park is a definite exception. Perhaps it’s because there is less emphasis on wildlife at the Grand Canyon, but we saw dogs just about everywhere. 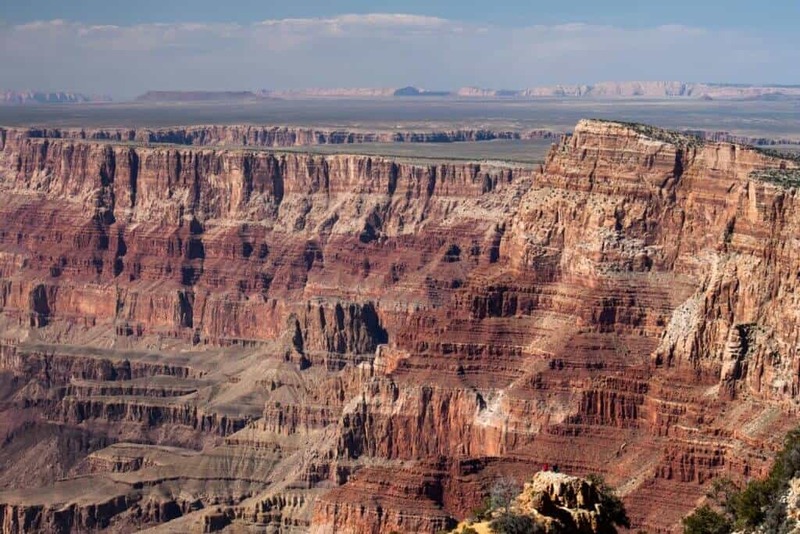 They are allowed in all of the campgrounds, within Grand Canyon Village, and on the Rim Trail. 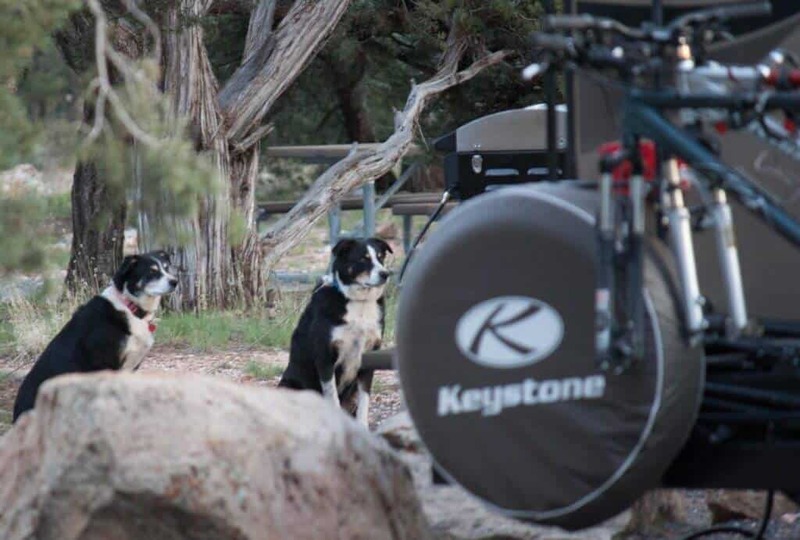 They are not allowed on the trails into the canyon, but there is an onsite kennel in Grand Canyon Village if you feel the need to explore without your dog. Have you been following the plight of the endangered California condor? It’s a pretty amazing story. Back in 1987, there were just 22 left in the wild, and not much hope for their survival. In a bold effort to save them, rehabilitators removed all of them from the wild and began a captive breeding program. Reintroduction began in 1991 with mixed success. Condors come to sexual maturity late in life, and they usually lay just one egg per year. They are also susceptible to lead poisoning because they readily consume animals riddled with lead shot. Although the odds have been stacked against them, these amazing giants of the sky are making a comeback in the Grand Canyon, which offers perfect nesting sites, lots of food, and few natural predators. There are currently 480 California condors living throughout the western United States. Each and every one of them is tagged with a number and radio antennae so they can be constantly monitored. That’s how we know that 80 of them call the Grand Canyon home. There are currently (spring, 2016) six nests throughout the canyon, with at least one little one due to fledge any day now. The California condor can be seen riding the thermals when the weather is cool throughout the Grand Canyon. Although they bear some resemblance to the turkey vulture, the California condor is much larger, with a wingspan of 9 to 10 feet across (2.4 to 3 meters). Turkey vultures also have white near the tips of the underside of their wings, while the condor has a white streak near the top part of the wing’s underside. Of course, all California condors are tagged with a number that is fairly easy to see. In fact, if you’re able to read the bird’s tag, you can find out all about it on the Peregrine Fund website. Even if you don’t catch a glimpse of these beautiful (a face only a mother could love?) birds, you can still help protect them by not using lead bullets (if you’re a hunter) and properly disposing of your microtrash, like bottle caps, twist ties, and can tabs that curious condors might ingest. 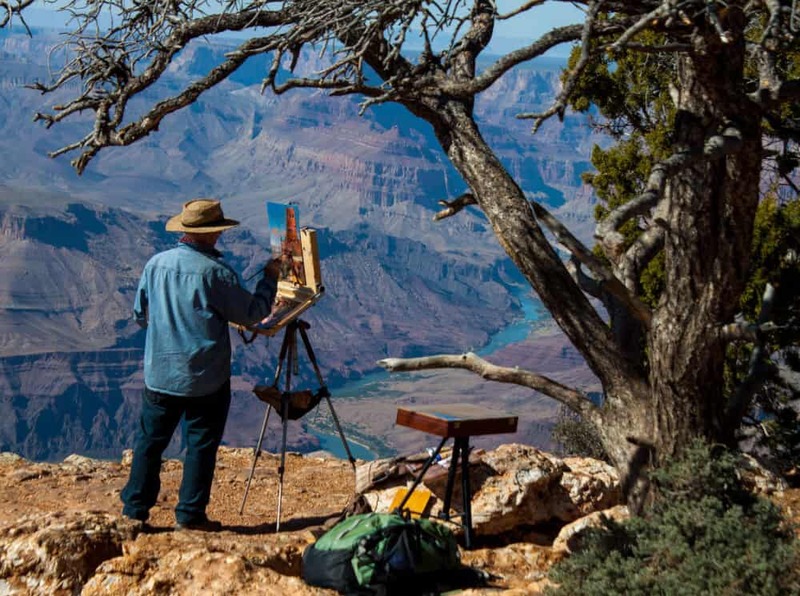 The Grand Canyon is a magical, but busy place. If you like your wilderness experience to be wild, consider visiting in the off season, between October and April. Leave your car behind, and hop on a shuttle bus to any number of spectacular trailheads. The South Kaibab Trail offers stunning views and relative solitude for not much effort, but be sure to pack sunscreen, snacks, and lots of water. 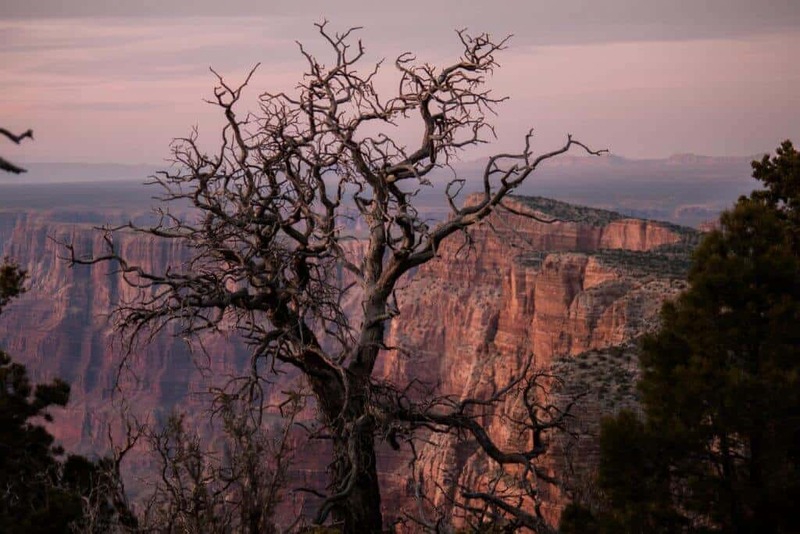 Even meandering along the South Rim Trail from Grand Canyon Village will allow you to escape the throngs of visitors that never leave their car or parking lots. 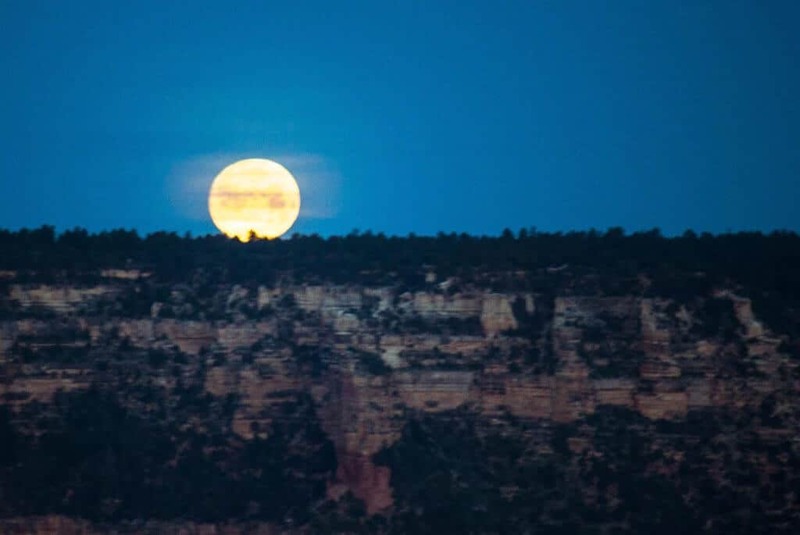 As with any national park, an awesome visit to the Grand Canyon takes some advance planning, but as you hike along the rim, scout the skies for incredible birds, stand in awe of golden sunsets, and sleep under a billion twinkling stars, the magic of the canyon will reveal itself to you. And then of course, you’ll wonder why you didn’t make the trip sooner. Oh the Grand Canyon looks amazing! Beautiful pictures! We have been camping in Europe with a caravan but from the looks of it that’s totally different than camping in the US. This is a fabulous post! Your pictures are absolutely stunning. I love the Grand Canyon. It is a magical place. Thanks for sharing your adventures with us. How beautiful! One of these days I will get there…… Gorgeous pictures of the sunrise! This is perfect, and so something I want to do. I was been to the Grand Canyon but only walked along the South Rim, hiking and camping there is next! It’s so beautiful out there! I’ll visit it one of these days! Everyone who lives in the U.S. should visit the Grand Canyon so much beauty. 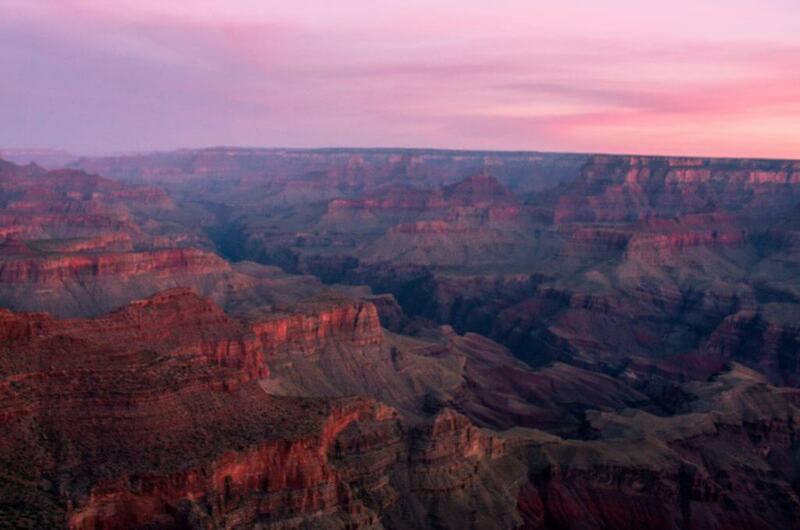 I love the Grand Canyon and I absolutely would love to go camping there and see the sunsets. I’ve been to the South Rim a couple of times and it is stunning, but the North Rim is in my eyes even more beautiful, because it has more forest and is much less crowded. Spectacular photos – I’m so glad you got to visit, the experience sounds fabulous. We visted the Grand Canyon and were really looking forward to our trip, as luck would have it, as we drove in from Vegas a freak blizzard snow storm came through so we got to the rim of the canyon and literally couldn’t see our hands in front of our faces lol!!! Made for a memorable story, but I’m looking forward to getting back … thinking camping, and not visiting in winter might be a good idea!!! Oh, Meg – that’s funny, but not funny. We had a trip booked for February and changed it to April at the last minute. So glad we did. What amazing photos! I visited the canyon once during the day but we didn’t stay over, how I’m wishing we had! This is really magic! amazing views, stunning views of the sun and moon and a great camping experience for the family, can one ask for more? your post brings alive the lovely experience you had. Hi Rachel – I think the max is 30 feet, but it might even be 35. We saw lots of RVs when we were there. Thanks for sharing this great post. I have never been to the Grand Canyon but would love to go. I thought the Desert View Campground looked great, camping among the trees, and had never considered that this might be a dog-friendly tourist attraction!! I was surprised it was so dog-friendly too, Amanda. Such a special place. What a treat, just viewing your pictures and comments. I have to go! We would have loved to have you there with us, Gaile. Next time!! 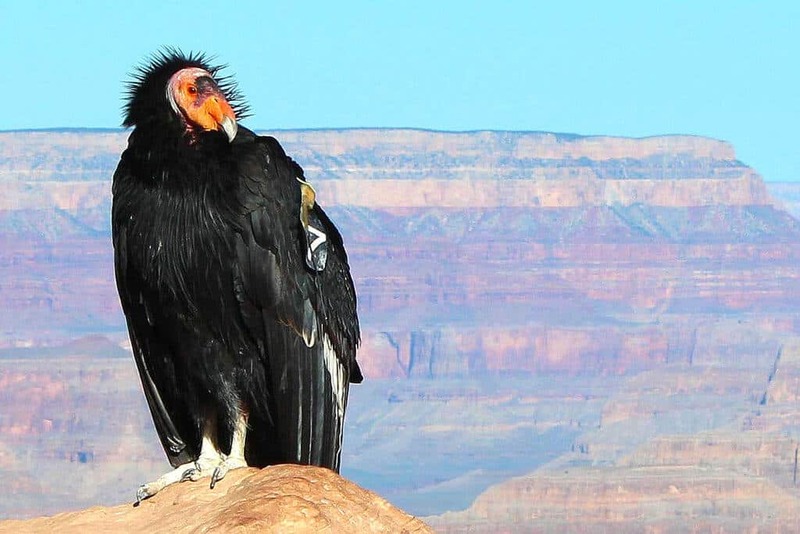 The rangers at the Grand Canyon give lots of tips for spotting condors. They’re huge! Hey, what can I say? The Grand Canyon has the power to move you deep inside. It is hard to believe something so beautiful really exists. By the way, I have not been to the National Park. I have only been to the part of the canyon inside the Hualapai Indian Reservation. Views in there were incredible. However, I know I need to go to the park. On our next visit we want to go to the Hualapai Reservation. Did you go to Havasu falls? They look spectacular. Thank you, Hung! We definitely needed to get away from Vermont, and the southwest was the perfect adventure. Never been to Waimea Canyon, but I’d love to check it out. How nice to know that the Grand Canyon is so dog friendly! It seems we can never take ours to National Parks, like you mentioned, so this is great! I can’t believe how much wildlife you saw during your visit. And that moonrise! I’ve wanted to visit the Grand Canyon for a long time and seeing your photos and reading your post makes me even more interested. Thanks for visiting, Jen. I would have never thought to bring my dogs here, but I would definitely reconsider now that I’ve been. Also, I pictured a total desert landscape before we visited, and it’s actually quite forested on the rim, so lots of shade. I’m excited you got to experience the Grand Canyon and saw so much wildlife and a beautiful sunrise! I haven’t been in years, and after seeing your wonderful photos, I’d love to go back. Thanks for stoppinbg by, Brooke. It’s such an awesome place, but then again, the world is so big and there’s so much to explore. Love the Grand Canyon and time spent in the desert! Thanks for tips. I’ve been wanting to visit the Grand Canyon with the kids. Good to now about the beer & wine. Those sunrises look amazing! Wow! It’s on my list, and I’m so looking forward to it!